Stay cozy and warm in bright turquoise! 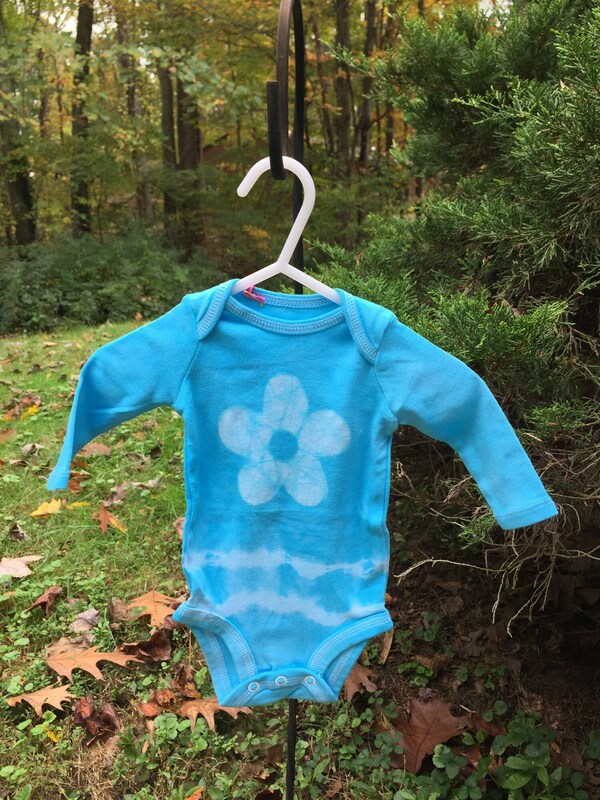 I stenciled a big flower onto the chest of this little baby girl's bodysuit before dyeing it light blue. 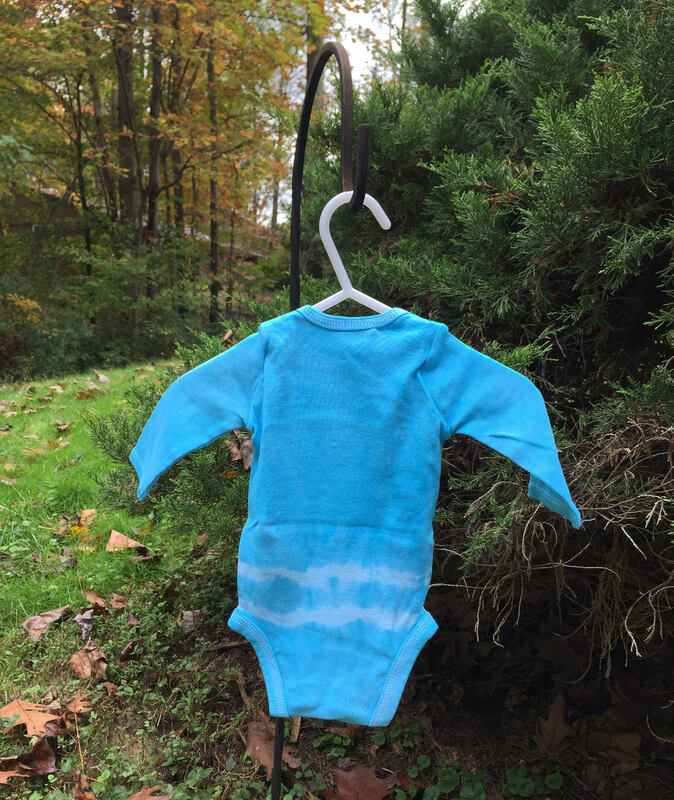 A couple of lines of tie dye add some extra flair. 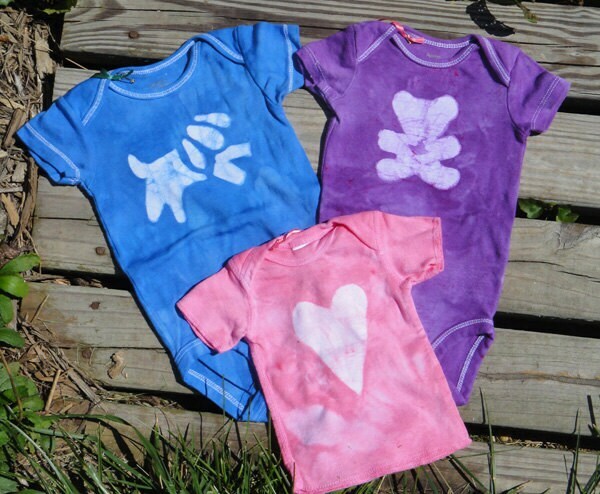 This is a size 0-3 months Simple Joys by Carter's brand bodysuit, 100 percent cotton. Long sleeves.